Harth – a Karuna Reiki healing symbol – channeled by Kathleen Milner and Maroy Miller. The Hearth is known as the symbol of unconditional love. The harth can be used to create a balance, love, truth, harmony, and beauty. The harth is mainly characterized for the healing with issues of heart – both physical and emotional. The hearth can be used effectively in problems relating to the heart. Physically and emotionally also. Worldwide statistics of heart problem shows that 1 in 3 dies of heart disease each year, approximately one woman every minute. CHRONIC STRESS elevates the stress hormones like adrenalin and cortisol. These stress hormones also change the way blood clots, increasing the risk of heart attack. It can be very critical when it comes to treating a heart patient. But with the help of Reiki, can handle the situation very effectively and in a risk-free manner. Stress is the main culprit of the heart diseases, so when we treat the person with Reiki, the first benefit he gets is the release stress, and feel much relaxed. In the first session, he feels much relaxed. Apply Harth to the past, present and future situations where he might deal with stressful situation. Seal his aura with Harth, CKR. Apply Harth on Sacral / swadhisthan Chakra ( as it stores the suppressed emotions ) and Heart / Anahata Chakra of the person. Swadhisthan / Sacral chakra is the seat of all our emotions. Our deepest emotions stored here, not only from this birth but from previous births also. Reiki the Lower back, especially in Men, as stress and worries are accumulated in this area. Meditating / Chanting of Harth can be very useful. Activate Reiki and Harth to minimize the side effects of the medicines. It is known fact that Anti-platelet drugs can create side effects like Diarrhea, Rash / itching, Chest pain, abdominal pain, muscle aches, dizziness. Medication for anticoagulants drugs sometimes gives rise to bleeding and gangrene of skin. Use of Harth engraved crystals can be very useful. It can be used in many ways. Put Harth engraved crystal in a glass of water overnight, drinking this water can be very helpful. Harth crystal can be kept near around you to get the healing vibrations. Meditate with this Harth crystal keeping in your palms, giving better results. Meditation is the best medication for any problem. Beautiful Karuna Reiki Symbols set of 11 Rose quartz and Lapis Lazuli, available on Amazon. I personally recommend the set of Rose Quartz, it is the stone of the heart, has more soothing energies. Lapis Lazuli is best when you work for removing negative energies, protection against psychic attacks, releasing stress and for bringing deep peace. You can work with Lapis Lazuli engraved with Harth if you want to give protection from psychic attacks. Issues of Addiction clearly shows the emotional imbalances in the person. Addiction of any kind shows the emotional dependence of the person, on outer sources for getting relief from stress. Addiction helps the person escape from reality when he is not able to face reality. A person suffers from addiction looks upon it as a stress reliever, and use it to cover the painful memories in past. Harth gives good results when used on Third eye chakra, Crown Chakra / Sahastrar Chakra and the Heart / Anahata Chakra. Constant encouragement is a must . Very True ! Harth is the symbol of unconditional love, compassion, harmony. Harth can be used in critical conditions such as terrorism,and when extremist tries to rule the community. Harth can be used on communal level, or for group healing. Mother Earth needs healing more than ever before! Harth creates compassion, unconditional love, and harmony. Harth promotes balance and the Ultimate Truth and brings out the beauty of the soul. 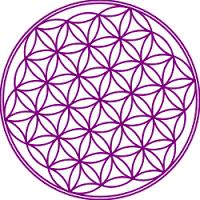 Third Eye Chakra and the Heart / Anahata Chakra is the best energy centers to apply the Harth. 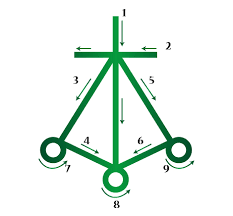 Harth can be effectively used to connect with higher vibrations of Archangels, Reiki Masters and Higher Self. Karuna Reiki or compassion increases your vibrational frequencies and thus enable one to connect with Higher Energies. Activate Reiki and Harth to connect with any Higher Frequencies and ask for their guidance and solution in any difficult situation. Harth can be used when we want to create some fundamental changes in our lives. Visualize a situation which you want to change for the betterment / or for the highest interest of the concerned. Activate Reiki and Harth,visualized the results accomplished. Harth helps to understand that we are the creator of life, and whatever changes we need in our life, we must firsts visualize it and try to accomplish it . Like every symbol, Harth has a specific purpose or a definite role to play mainly to heal problems related to heart, broken relationships, stress and growing hatred in the society. We must activate Reiki and Harth to heal the situations more frequently! Hey there, how do you like this article on Harth: Karuna Reiki Symbol, would you like to share your experience with all of us, pl comment below. Pl share this article with your friends and family, to whom you think it will be useful. 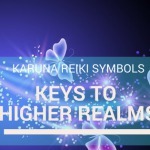 Karuna Reiki Symbols - Keys to Higher Realms. Yes Katrina You should. Reiki is an exceptional practice, which helps and balances you in every way ! Yes, engraved stones aka crystals should be kept in a particular place which is clean and have positive energy.Of course, you can keep them in your surroundings, like in your cupboard, jewellery box, wherever you want to. Just keep them clean. that’s it ! Crystals have their own healing vibrations,have their own energy. Thank you for posting this, I wish they’d teach this kind of thing in schools; it has been a very long road for me to find out about the healing powers of things like Reiki and I think so many people in the world could do with the healing power of Harth. Thanks Jen. I agree with you that Reiki should be taught in the school so that children learn to take care of their health from the beginning. Popsi, glad you like the idea. 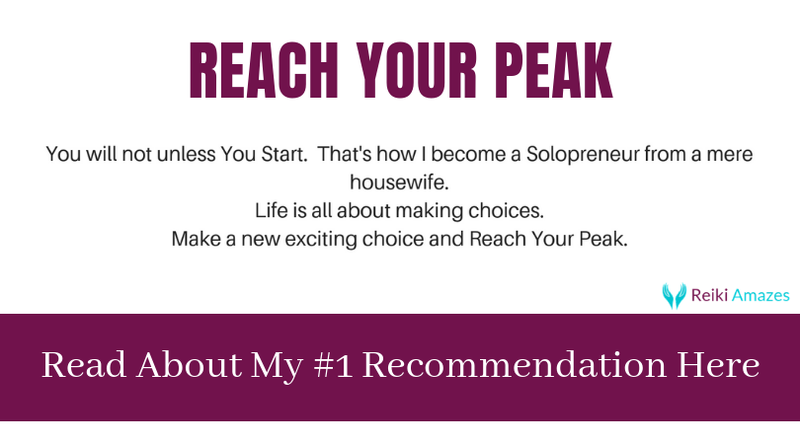 Great post 🙂 Thanks for sharing!!! The best, Z.
I am glad that you like it Zgenesis ! Very interesting post. A lot of the tenants here I find in Christianity. I think here is great benefit in learning to mediate and better tap into the power of the Creator. You are right Keith. 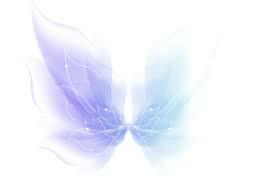 Reiki is channeled through the Source, you call it by any name. Reiki is beyond any religion. Being religious and being spiritual are two different things. Reiki is a Spiritual Healing Energy. Yes Veethee, I know how much you are amazed by Reiki, so now time to get attuned ! I am glad that you like the article. Feel free to contact me. Hello. This is an interesting post. I`m still quite confused with Reiki and Harth. Is Reiki a meditation or spiritual practice? Who can use Harth effectively? Hey there, Reiki is a Spiritual Healing Energy, which empowered by meditation. Harth is a Karuna Reiki Symbol. Karuna Reiki can be learned only after you complete your Master level in Traditional Usui Reiki. So, it is obvious that you can use Harth symbol after you complete your Karuna Reiki. Pl feel free to ask any queries you have on Reiki. I have done Reiki and it helps me to solve issues in my daily life. I’m getting help from wolf in many things, my depression is significantly lover than previous. I did tapping to release the limitting pattern,it helped. Alan, thanks for sharing your experience with Reiki. I am glad that you found Reiki useful and continuing with your sessions. Nice to hear that you are out of your depression phase. If you need any suggestion or help regarding depression, pl let me know. In the mean time go through this article on depression, I am sure you will get some tips on how to overcome depression. You are an angel. Again your article on Harth has proved it.you are better even than William Rand..Kindly post all symbols of Karuna reiki in similar fashion. 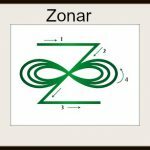 I just fell in love with this Harth symbol explanation after Zonar. Other symbols are expected in same way. Thanks a ton again. God bless you for your selfless service to mankind. Love and Light and Reiki. Thanks for your kind words, I am a mere Reiki Channel and grateful to the Universe, was given the ability to serve those who need healing. I am no way closer to any Reiki Grand Master. 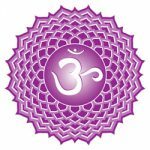 I have discussed all Karuna Reiki Symbols in this post. 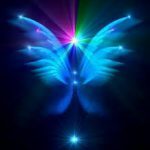 I hope you will like this post, and pl let me know if you want to know any aspect of Reiki.